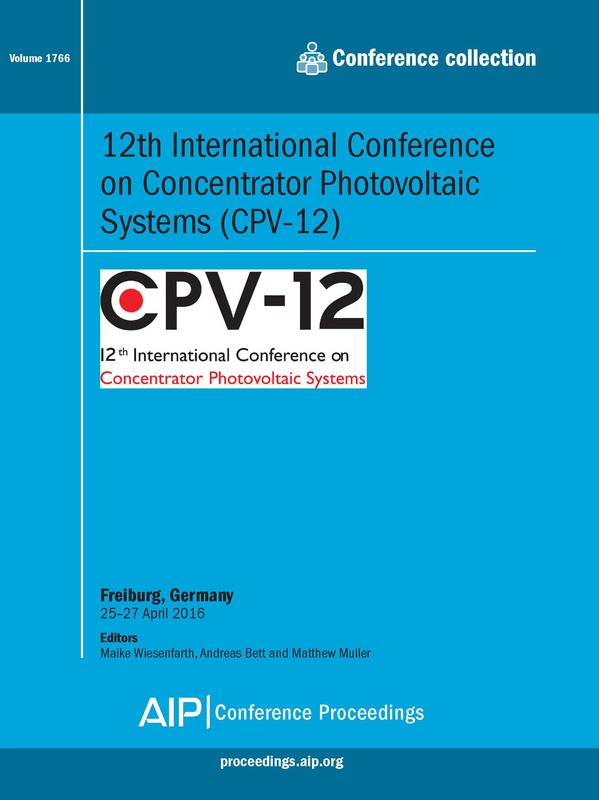 Summary of this volume: The 12th International Conference on Concentrator Photovoltaic Systems (CPV-12) continues a series of events that began in 2002 and is devoted to the technical and scientific aspects of concentrator photovoltaics (CPV). These proceedings contain papers written by prominent scientists and engineers that reflect the state of the art and give a comprehensive overview of CPV. Specific topical areas include solar cells, modules and systems for low- and high-concentration applications; concentrator optics; field experiences of CPV systems; tracking for CPV; characterization; reliability; and standards for CPV technology. These proceedings will be of interest to: Physicists, materials scientists, and engineers working in semiconductors, optics, optoelectronics, photonics, molecular electronics, device design, and fabrication. For further information about this volume: Please view the table of contents available on AIP Publishing's Scitation platform: Volume 1766 table of contents.